It is a type of annealing which causes practically all carbides in the steel to agglomerate in the form of small globules or spheroids. There may be wide range of hardness with such a structure for any grade of steel since the size of the globules has a direct relation to hardness. 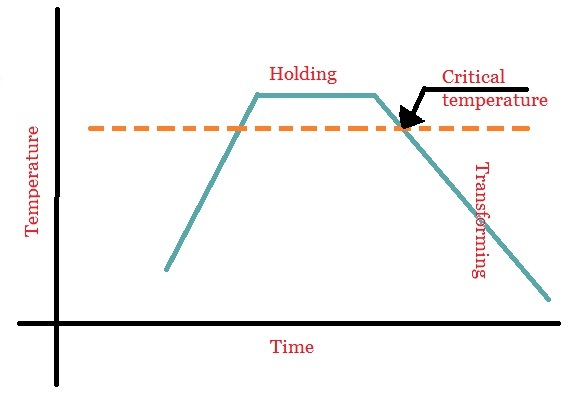 Spheroidising may be accomplished by heating to a temperature just below the lower critical and holding for sufficient period of time. 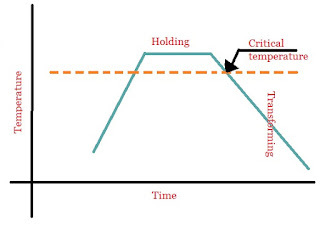 A more desirable and commonly used method for spheroidising is to heat to temperature just above the critical and cool very slowly (6°C per hour) through the critical range or to heat to a temperature within the critical range but not above the upper critical and cool slowly. This treatment is used for practically all steels containing over 0.6 percent carbon that are to be machined or cold formed.